Kanye West and Kim Kardashian’s daughter, North West, at just 3 years old is becoming a very stylish figure. 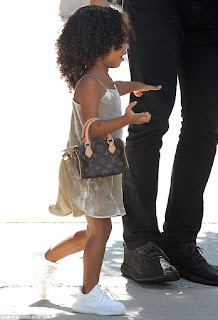 The little girl stepped out in a $1000 mini bowler-style Louis Vuitton bag slung casually on her arm on Thursday in New York. At just three-years-old she has a closet most fans of fashion can only dream of. « This video proves Jose Mourinho and Pep Guardiola were once best of friends – but how time changes things!